Having a sweet tooth could be a bit cheaper for Finns in future, after the government announced it will remove a tax on confectionery and ice cream from 2017. Finland imposed the tax of 95 cents (70p) per kilo in 2011 in an effort to curb sugar consumption, and the government says it is expected to bring in about 109m euros (£81m) this year. But now the European Commission has told ministers that the tax system unfairly favours Finnish producers, because imported sweets have to pay it on top of import duties, public broadcaster Yle reports. The Taxpayers Association of Finland has worked out that the changes will knock about 50 cents off a litre tub of ice cream, but it’s not yet clear whether the savings will be passed on to customers. “Any possible drop in price will depend from the industry and shops’ pricing decisions,” says Merja Sandell, a finance ministry official. 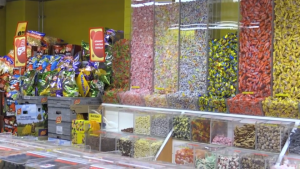 While some Finns on social media are worried about the effect cheaper sweets will have on the nation’s health, many are sceptical that there will be any price change at all. “In Finland prices go up even when taxes go down,” one person commentedon the Ilta-Sanomat newspaper website. “Don’t worry – prices won’t fall,” says another. “The shops will pocket the price difference and so will take care of the citizens’ health.